Riverside Nursery & Garden Center is a third generation business with a reputation for exceptional customer service. Like any other small business they have to stretch their marketing budgets as far as they can. So they were surprised to learn that a powerful app, their own branded app, was well within their budget. They were open to technology and we helped them integrate it into their business in a way that would drive repeat sales. We worked with a few of their vendors to deploy beacons in a rather unique way. We looked at many of the areas where customers had questions and developed interactive displays that solved the problem. 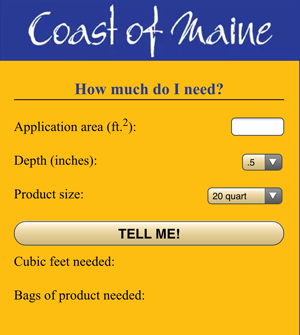 A simple question like “How much mulch do I need?” could now be answered with a the tap of the app. We also helped them with a new website design that incorporated nicely their growing partnership with a regional grower. We were also able to connect their users to product whether they were at the garden center or not. See a tree? Want to know more? Tap the ‘Ask Us’ snap a photo and send. Simple. Want to buy that tree? 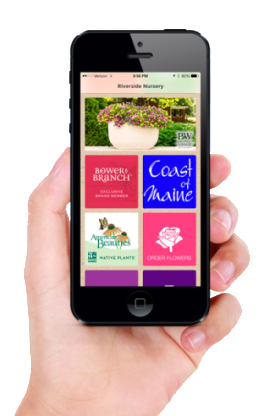 Tap the Bower & Branch tile and it connects seamlessly with their online ordering system. So now their sales opportunities are no longer limited to the nursery. What can we do for your business? Contact us and we’ll show you how you can transform the customer experience.